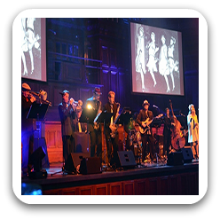 Melbourne Soloist / Duo / Band 527 is a band with a huge repertoire. Ready, willing and able to be the quality music entertainment when ever required for, weddings, corporate functions, or any special moment or themed event you can dream of. Melbourne Band 527 is a jammin’ band with a huge repertoire of hits covering now, classic songs from the 00’s, 90’s, 80’s 70’s 60’s 50’s and 40’s. Everything from top 40 hits, classic retro hits to jazz, reggae and themed music. We are a professional group of musicians and singers who not only look good and sound good, but they know how to please a crowd and have them begging for more! That’s right, We love to jam! The core group is made up of five musicians, however, when the budget or occasion allows, extra performers are often brought in. Eg. Horn / brass section, percussion, guest vocalists, dancers, etc, up to and over a 10 piece band. Can perform as a: Solo, Duo to 10 Piece Band and are available to perform in Melbourne and Surrounding Areas. JAMES BOND THEME / GOLDFINGER and other themes etc..
Elvis Presley (many songs) – Can’t Help Falling In Love / All Shook Up / Hound Dog / Tutti Frutti / Blue Suede Shoes / That’s Alright Mama / Suspicious Minds / A Little Less Conversation etc.. I recently booked this band for my 70th Birthday party. What a great band! My guests danced all night to their wonderful mix of music from the 60’s and 70’s, with superb vocals and musical skills. I would book them again without hesitation.